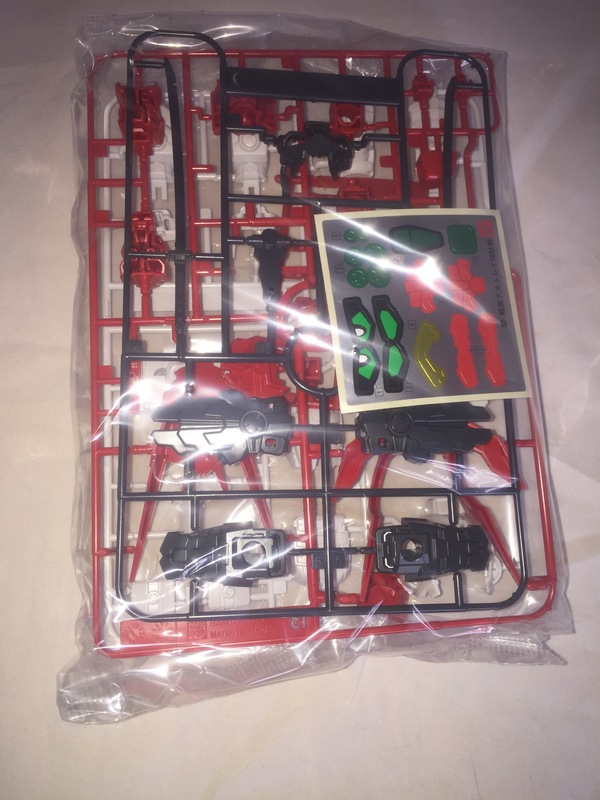 Once again…a SD model of a Gundam the SpartanNerd has no investment in. The title clearly says it is from “Build Fighters.” I watched about one half of an episode of “Gundam Build Fighters Try” on Netflix. The Japanese (no offense intended,) plus the presentation of the characters, and just the show in general didn’t agree with me. I get it. It’s just not my thing. The SpartanChildren, however, eat it up. I helped a little. You have to really clear the “nubs” off of the pieces after you break them from this blister. Also, the pieces are meant to fit together tightly. 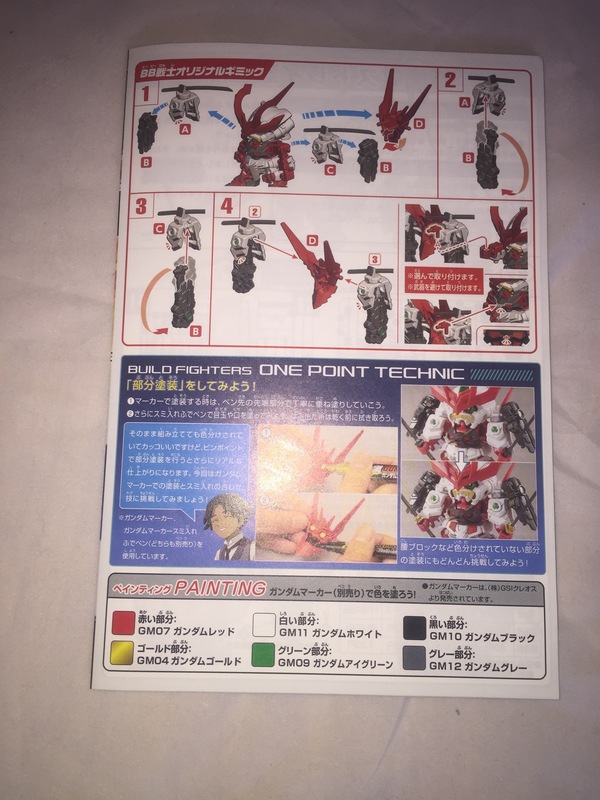 The instructions were easy to read, but in Japanese. 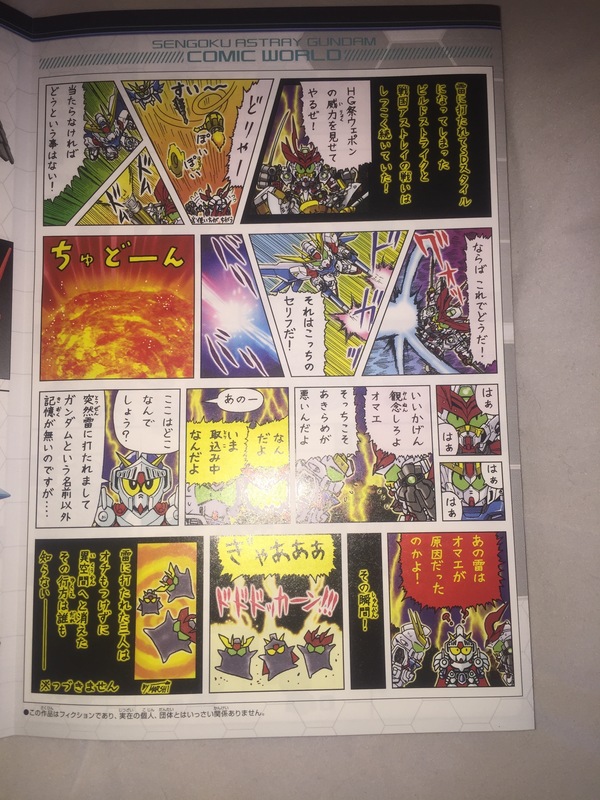 You also get an apparent advertisement for the Gundam markers and pens, and a Manga comic, just like the others in this line I have reviewed. 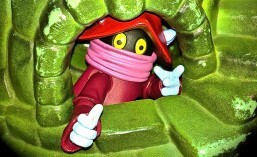 The assembled model looks like this. The two swords are very nice. But it is the headpiece that gets your attention! He is really busy, and so doesn’t seem as posable as some of the others in this line. He also tends to want to fall apart. The SpartanKid assembled both of these…so here are some statements from him. The SpartanNerd rates Sengoku Astray Gundam 3/5. The markdown comes from the limited articulation and the fact that the pieces want to come loose, especially the arm. 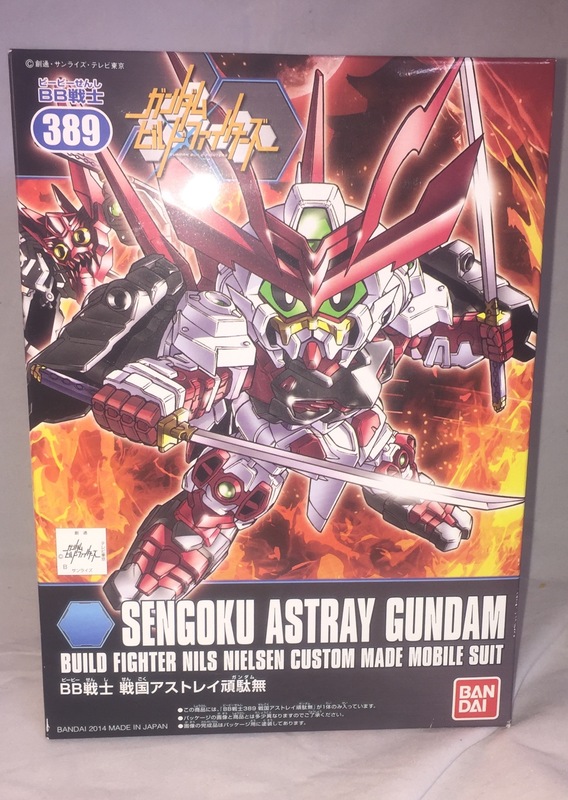 Otherwise, the Astray is pretty cool with the huge headress and the two swords. 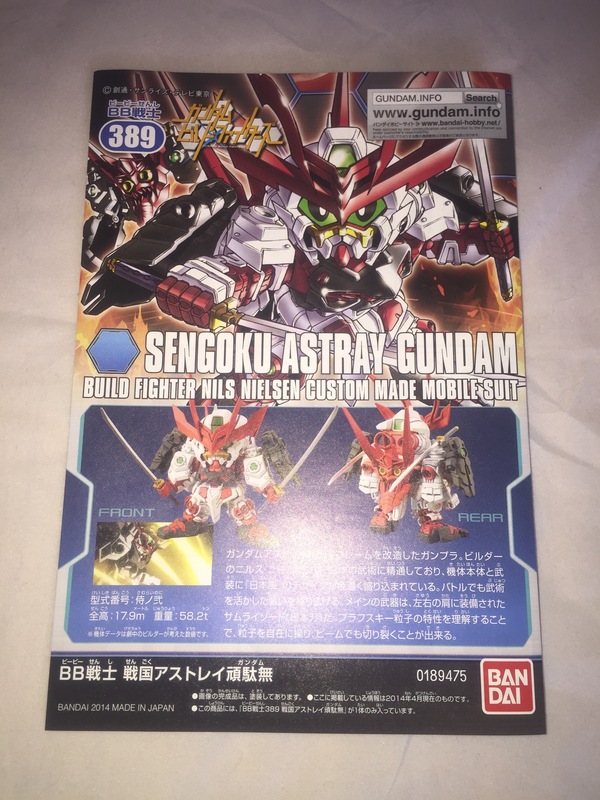 This entry was posted in gun dam build fighters, Gundam, SpartanNerd and tagged Gundam Astray, Gundam Evaluation, Gundam SD, sengoku astray gundam, SpartanKid, SpartanNerd, SpartanNerd Unboxing and Review. Bookmark the permalink.